Shillong Lajong FC’S recent string of losses in the I-league has come as a big disappointment, given the quality of the opposition. Being an avid fan of the club-the first from the region to make its foray in the I-league, its been a frustrating watch of late. The team’s performance this year has been a shadow of the past. Comprising of a bunch of 20 something inexperienced players with no foreign recruits, the team is a far cry from the Lajong of old. Is it because the management is trying to do the Royal Wahingdoh or Dempo stunt by going through the normal route (relegation) because of reasons best known to any football fan? But then, the Club will be playing with the pride of the fans of Lajong in particular and the pride of Shillong football in general, if at all Lajong is ever to be relegated. With the emergence of Corporate clubs that can just be bought into the league, it will be difficult to get back to the I-league, let alone win it. With the probability of I-league and ISL merging, smaller clubs with shoe-string budgets stand no chance of competing with big spending clubs. 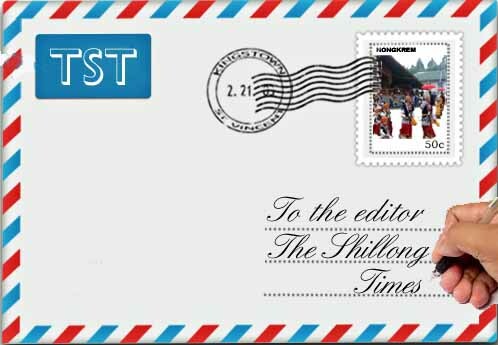 Therefore, if Shillong Lajong FC can pull up its socks and avoid relegation by staying mid-table, it will be a revival of sorts and hopefully the confidence of the team will be boosted and it will get back to its winning ways once again. The clarification issued by NEIGRIHMS with regard to outsourcing the paediatric cases published in ST on Jan 16, 2019 is misleading. While your news item on Jan 15, 2019 (NEIGRIHMS sends paediatric cases to local hospitals) very clearly pointed out that paediatric and endoscopy services were suspended due to vacation policy introduced by the incumbent director, the clarification has sidestepped the issue and reported other activities of the hospital. On investigating this issue, it has come to light that this clarification is again filled with lies, to cover up the inadequacies of NEIGRIHMS administration. This is similar to the curtailing of the Operation Theatres due to the vacation (I had highlighted this in a prior letter to you). It is said that due to the vacation policy, there is no qualified paediatrician in the entire hospital as the lone faculty has been asked to go on vacation in January. Because of this, not only the ward and ICU services, but also the out- patient services have been crippled. It is being handled only by young MBBS graduates. Instead of improving the services in the hospital, this Director, is adamant on this ill-conceived vacation policy which is hampering patient care. While your newspaper has responsibly brought this to notice, the administration is trying to cover it up with lies. In this regard, I would raise the following queries. Is the gas manifold system being installed only in the paediatric ICU and ward? What about the other wards of the hospital? Why is it that only paediatric patients are referred outside? If it takes 7 days for the gas manifold system will the services be restored after January 22? Will starting postgraduate services in dermatology, ENT, ophthalmology improve the services in Paediatrics Department? Is the upgradation of the lecture theatre related to this clarification? I request the director of NEIGRIHMS to respond to these queries or accept that the vacation policy has affected the hospital services and to change it in future.